Best youth baseball bat brands for kids are often very difficult to determine as choosing the right youth baseball bat for children depends on a number of factors. If you fail to get the ideal baseball bat, it affect both your play as well as your health. These days there are many good youth baseball bats manufacturers for kids, in fact, so many that one often gets puzzled to choose the right one. However, here we have enlisted some of the best baseball bats brands for children that have advanced features to enhance the swing and the hit. Also, know what are the factors that determine the ideal size, shape, length and weight of a baseball bat for any batter so that you can use your best judgement while purchasing the right baseball bat. One thing you must remember; you must not go for a particularly baseball brand blindly simply because your ideal player uses it, or your friend or someone else has purchased it of late. Know how to choose the right youth baseball bat. Keep reading! As we have already remarked above, there are so many good youth baseball bats manufacturer brands that it is often quite puzzling to pick up one. Here we have given a list of top baseball bat makers brands for you. Go to a nearby baseball gear shop, try these brands, try bats of varied weights and lengths to find out which fits you best, and then, well, it's time to get your gear! Easton youth baseball bats - Faster swing speeds, increased power, and expanded sweet spots distinguish the Easton baseball bats among others. Easton also takes pride in being one of the highest selling youth baseball bat brands. Some of their best makes for young batters are Speed II 12, Omen XLB 12, Omen XLB 10, Surge XXL 13, Rival XXL 13, Convert XL 12, and Reflex 13. CV12 XL 10 is yet another latest addition to the cart. DeMarini youth baseball bats - DeMarini needs to introduction in the world of baseball gears. DeMarini baseball bats, as they claim, are one of the lightest and strongest bats ever created. DeMarini offers a host of youth baseball bats to choose from, such as the 2012 Voodoo 13, 2012 Vendetta 12, 2012 M2M 12, 2011 CF4 ST-11, 2011 Voodoo Black 13, 2011 Vendetta C6 13, 2011 Vendetta 12, and 2011 M2M 12. Louisville Slugger youth baseball bats - If you think you do not like aluminium bats and rather would prefer to stick to the traditional wood baseball bats, Louisville Slugger is the right brand for you. MLBM9YC, MLBHMYG, MLBM9YBH, MLB125YWC, MLB225YB, MLB325AS and MLB125TB are some of the best professional youth maple wood bats that you can check out. Rawlings youth baseball bats - Rawlings is yet another noted baseball bat maker company, coming up with a number of good alloy youth baseball bats for young kids. Rawlings 5150 Alloy - 12 Youth Baseball Bat, Rawlings Plasma - 12 Youth Baseball Bat and Rawlings Raptor - 11 Youth Baseball Bat are truly worth trying. Worth youth baseball bats - The Worth YBSNKR Copperhead Snake Youth Baseball Bat is light weight and hence provides very good bat control.Also, the Worth Youth Lithium Prodigy Baseball Bats YBPCP2 with 2 3/4" barrel and thick wall are the best junior big barrel baseball bats. 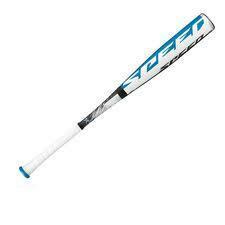 Worth 2012 Toxic -13 Youth Baseball Bat Features Lithium alloy ensuring fast bat swing and speed. Worth YBCH10 Copperhead Youth Baseball Bat is yet another good gear to knock the ball out of the park! Apart from the top five junior baseball bats brands listed above, you can try some other baseball bat brands too such as Nike, Reebok, Anderson, Combat and Marucci. If I were asked to prepare a list of top 10 youth baseball bat brands, I would have added them to the list! How to choose correct sizes of youth baseball bats for children? It is a general tendency, mostly among the youth to purchase an average size baseball bat. Quite wrong. A misfit baseball bat will not only affect your performance in the game, but at the same time can cause temporary or long-lasting damages to your health as well. Just like there cannot be any common size of shoe for all, the ideal size of youth baseball bats for kids should also depend on several factors. Let's see what are the factors that determine the ideal size of a baseball bat and how to choose correct sizes of youth baseball bats for kids. Every baseball league, tournament or championships might have its own set of rules, regulations and restrictions. The first and foremost thing is, your baseball bat must comply with the rules of the tournament you are about to take part in. Thus, before you give your baseball bats a trial, knock the authorities to know the exact rules, or you might be in trouble on the match day. Most of the high schools ask for BESR (Ball Exit Speed Ratio) certified bats. Not just the length, the diameter might also vary from league to league, so be careful! Ideal baseball bat length for kids must be determined by the physique of the batter, that is the height, body weight and the age of the young batter. The thumb rule is, the stronger and heavier the batter, the longer should be the bat. It is true that a longer bat will reach even far off balls and with a longer bat a baseball batter can hit balls close to the edge of the plate. Nevertheless, that doesn't mean that whatever your physique, you should run after a longer bat. Naturally, longer bats mean heavier bats, which can simply bog you down if you are not quite tall and strong. You must choose the baseball which makes you feel the most comfortable. Usually a 24 to 28 inches long bat suits best for a baseball player between 6 and 8 years of age of average physique. The taller and heavier and aged you grow, you will need to switch over to a heavier bat. However if you are taller than the average, say more than 50 inches, you can try a longer bat. However, the final verdict is, it is you who should determine the ideal size of your baseball bat. Trying out a series of bats of different sizes, lengths and weights won't be a bad idea! Ideal baseball bats for kids are mostly aluminium bats, however the composition ratio still varies. While some of the bats contains other alloys, there can be different layers to vary the power and the durability of the bat. Naturally single layer bats are lighter and easier to handle for kids, while a double layered or a multi-layered bats ensure a better hit but are heavier and are not easy to handle for young baseball players. Aluminium baseball bats are more costly than wooden ones, or graphite baseball bats, and are more durable as well. However, not all leagues allow aluminium bats and sticks to the wooden bats traditionally. We advise you to check the league rules and restrictions before choosing your bat. Best youth baseball bats for kids contain light yet durable alloys and also ensure a proper ratio of the length and the weight. Apart from that they have some more 'plus' features that enhances your play, such as the barrel taper, barrel size and also the grip style. Choosing a proper grip style is very important. We feel that young baseball players should go for a rubber grip baseball bat for it will absorb the shock or sting after hitting the ball.